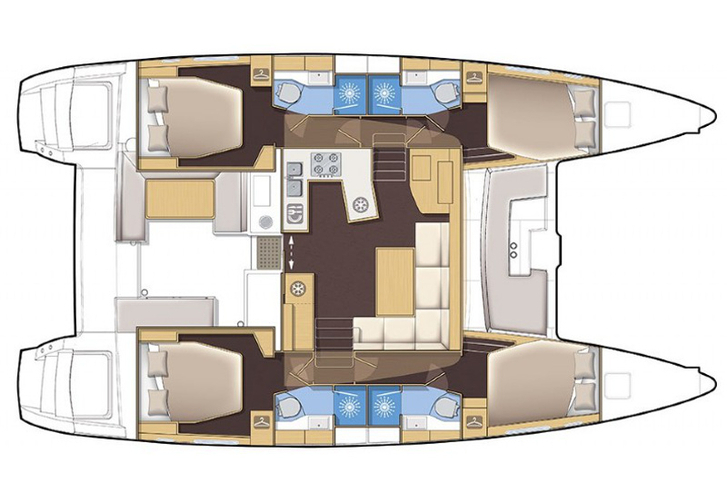 In 2017 has been produced vessel Lagoon 450 named Sofia. This sailboat is based in base Sibenik in the area of Sibenik in Croatia. 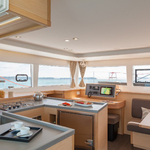 You can board up to 12 pax on the sailing boat Sofia. Scheme of berths is 12. 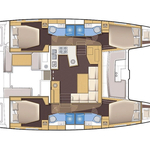 There are 6 bedrooms situated under boat's deck. Sofia is equipped with 4 heads. Use our search engine to find different yachts by going here: Catamarans Sibenik. Fuel tank is 1000.00 l liters capacious , water tank has up to 350.00 l liters. In this boat is installed engine 2x40 hp. 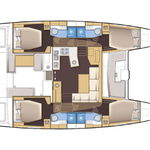 With 13.96 m of LOA and 7.84 m of beam Sofia provides enough space for comfortable sailing. Lagoon 450 Sofia is equipped with: generator, Mainsail with lazy jack, Autopilot, Gps, Radar, Gps plotter, Dinghy, Bimini top, Electric winches, Anchor electric windlass, Flybridge, sun mattresses, refrigerator in cockpit, Dishwasher, Microwave, Wc pump electrical, Bed linen, Heating, Radio cd mp3, TV, DVD player, Air conditioning. . Security deposit accounts for 3500.00 EUR. Search for other yachts in this site: Catamarans Sibenik.